Back surgery is a procedure with high risk, since the spine is loaded with nerves. One wrong move and a surgeon could leave you without feeling for the rest of your life. Your nervous system is made of thousands of nerve ending, and if a central part is cut you could lose all feeling in various parts of your body. Or if the nerves in your spine become pinched from a surgical error, you could suffer from pain for the rest of your life. A minor error could cause nerve damage, which can lead to problems including back pain and discomfort, and even paralysis. Malpractice is not a big concern when you have an experienced surgeon, but inexperienced surgeons may have a higher rate of error. Loss of feeling or prolonged and debilitating pain in your back, rear, legs, neck, and hips. Lost income from a temporary or permanent injury related to the surgery. Paralysis, whether partial or full, or any other condition resulting in loss of mobility. Compensation for additional surgeries, recovery, and rehabilitation needed to correct the injury, as well as the medications and therapy needed to ease pain in the meantime. Claims may also be made against psychological distress and diminished quality of life if the injuries make it so. Compensation for modifications made to the patient’s home if the injuries from the surgical error is too great to repair. Patients who are injured during surgery may be eligible to file a malpractice claim, but they should first discuss it with legal counsel. Any injuries should be examined by a neurologist or another specialized doctor to understand the extent of the damage. 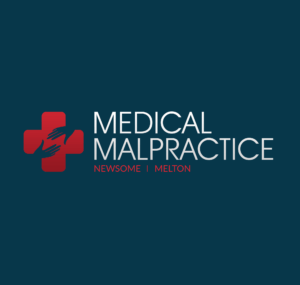 To be eligible for a malpractice claim, your surgeon must have acted with negligence while performing your surgery, thus causing the damage. If the surgeon strayed from accepted forms of treatment and caused the nerve damage, your claim may be valid. An attorney will need to verify this through others in the operating room, but if your claim is valid, you must be able to prove it in court through these sources.